Triple seven carbon type racing pads offer abrasion resistance truly above standard, approximately 5-times that of a typical sport pad. Project Mu Racing 777 is the high performance brake pad which can be used in anything from sprint races to endurance racing. The pad which has led to race victories throughout many circuits in Europe & Asia. 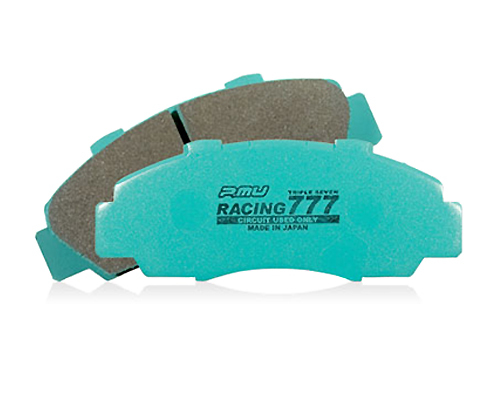 Boasting full braking effect and sturdy wear-resistance, RACING777 brake pads are ideal for everything from sprints to semi-endurance races.